We are proud to present our company, APD Electronic Systems -- consisting of a group of different support departments for client convenience. Throughout our history a key aspect of our company's philosophy towards business has been to acquire and maintain a reputation of high quality IT customer services, as well as to develop loyal and committed team members. Our aim is to provide a one-stop-web-shop to our customer base. We are situated in the City of Boksburg in the Province of Gauteng. 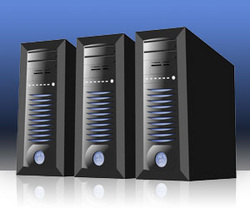 We offer our clients and resellers a specialised platform of IT infrastructure and Networks. We only use the latest proven & innovative technology in all our services that we offer. You can now purchase ADSL broadband services from a reliable fixed line Internet Service Provider who understands the concept of service. Tired of hitting your CAP and being stuck without bandwidth for the rest of the month? Our automated service allows you to go on line 24 hours a day and purchase more bandwidth 1 GB at a time. You can also send notifications to track your usage (email and SMS). We have our own dynamic system that allows you to have total control over your internet usage. Empowering you to control your cyberspace with your own control panels 24 hours a day.